The Erie Insurance Group announced Wednesday it had opened a 52,000-square-foot Technical Learning Center for its staff to learn about property damage. 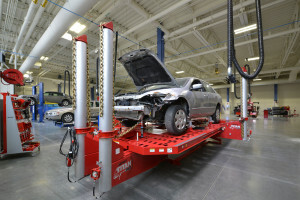 On the auto insurance front, the center includes 14 vehicle bays and collision repair technology including alignment machines, frame repair stations, lifts, and booths for prepping and painting a damaged car or truck. Erie Insurance Group, which sells insurance in 12 states and Washington, D.C., is the 12th largest auto insurer in direct premiums, according to A.M. Best Company.